Meat and three Veg or something else? Bendigo Pottery Function Centres All you can eat Buffet gives you the choice. Do you like Meat and three Veg but your partner prefers Chicken and Salad ? Is one of your friends a Vegetarian? Are the younger kids a little picky? At our Buffet you ALL have a choice! We cater for all tastes. If you just love a Roast, but don’t want to do the cooking and cleaning. Our Buffet is the answer! Don’t forget kids 6 and under eat FREE and kids 7 to 13 are HALF PRICE! 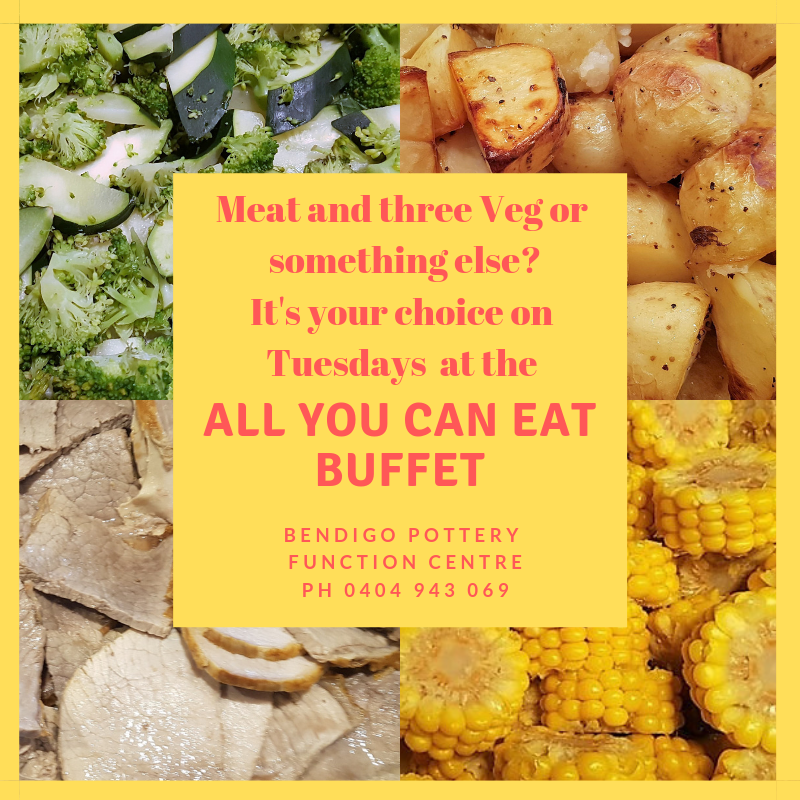 All you can eat Buffet every Tuesday at the Bendigo Pottery Function Centre. Call us on 0404 943 069 to book a table.